This post is part of our motherhood series. You can see all the posts here. This year I have transitioned from working full time, to being a stay at home wife, to preparing to be a stay at home mother. In March, my husband got a killer job promotion that would move us close to our families. Before, we lived over 8 hours away from them and felt discouraged when we looked towards being parents without family support behind us. So, my husband accepted the job and we began plans to move in May. We were elated to finally be moving closer to family and trusted that He would provide for us. But this would be mean quitting my full time job. I was working at a Christian university and was able to bring in a good income to help our family save for a home, pay off student loans, and save for babies! I began planning to find another full time job in our new area. Then my husband told me that he thought I should finally become a stay at home wife. We had always talked about it as a option, but never seriously considered it. I figured I would work full time until I was 8 or 9 months pregnant with our first and then stay home. But all of a sudden I was planning on developing my blog and my business with plans of being a stay at home wife. So in April we decided to start trying for a baby with plans that it probably wouldn’t happen for a few months. Well what do you know, the Lord blessed us our very first month trying 🙂 We got pregnant in April and then found out in July that it’s Twins! So then in May, Jason started his new job and we moved to just an hour and a half away from our family! I am now expecting twin boys that should be making their appearance sometime in December. Since May, I have been a stay at home wife. And I am so thankful. The Lord blessed us with this opportunity. I have been able to be home during morning sickness, take a trip with my Mom to visit our Grandparents, spend time on my business, my blog, and a new website my husband and I are starting. Now as I approach my third trimester, I am starting to get the pregnancy aches and pains. I am moving much slower and feeling the weight of my sweet boys. But because I am home I am able to prepare for them. I have the time and energy to devote to cleaning out the guest room and preparing it to become our nursery. I have the time to make real whole foods recipes for my family. And I have time to adjust to being at home. I can better plan what our days will look like once we have babies. I get to participate in Bible studies with my sisters, and develop good habits at home. I am so thankful for this time at home. I am establishing our home and our routine now. And as I look forward to being a stay at home mom I am thankful that God has blessed us with this opportunity and that I can transition into life a stay at home mom now. This has been a great time of transition and I am so glad that I have had this time at home. I made sure that my time at home alone would not be wasted and I have invested time into becoming a better wife and future mother. 1) I have honing my homemaking skills. I am figuring out how to have better cleaning and organizing schedules and routines. 2) I have worked on our finances and tried to get better at budgeting (this is always something I am working on)!! 3) I have had the time to look into how to naturally care for my babies such as cloth diapering and making my own baby food. 4) I have the time and energy to shop at different grocery stores and plan our meals to save money and eat healthy. 5) I have invested time into learning how to cook a “from scratch” whole foods diet including homemade breads, tortillas, soups and stews, desserts, meals and more! Because of this time at home I have been able to hone skills and develop new ones that I simply won’t have time to invest in once we have our babies. Now I can enter motherhood with these skills under my belt and am better prepared to be a mother and keeper of my home because God gave us the opportunity to stay home before kids. *Please note: This is our situation and how God directed our paths. I do not think this is the path for everyone. I never thought I would stay home full time before kids and yet God knew a better plan for us! I’m curious what season you are in right now? Do you have kids? Do you stay home or do you work? Share with us so we can get to know each other better! Leave a comment below or hop on over to my Facebook page to join in the discussion. Aw so sweet!! I plan to continue doing a bit of work from home (although my schedule is flexible, thankfully)!! That’s great to hear that you have time to do some work even with twins!! That’s great that you have this season of preparation! I am a Stay at Home mom to an 11 month old baby girl. It is such a blessing! 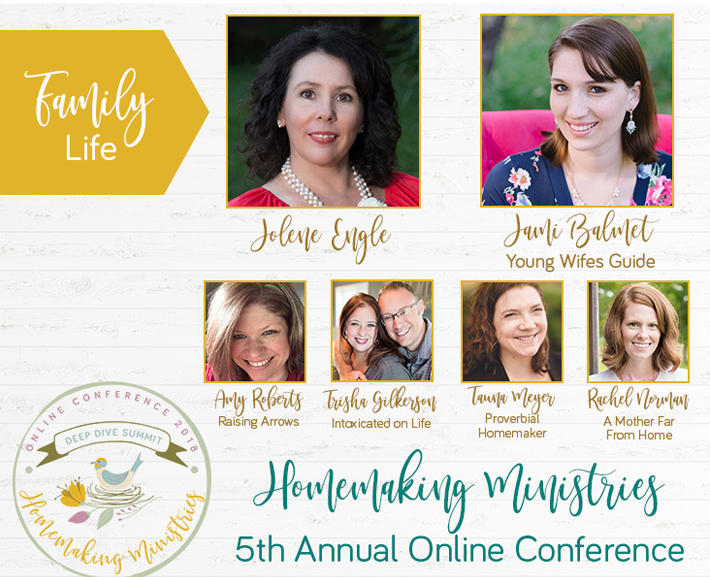 The time as a sahw definitely gave me time to hone those homemaking skills and helped me know what my goals, preferences, etc. were. However, one of the best words of advice I can share in preparation for your coming transition to mom is that no amount of preparation can really prepare you for how completely your life will change with little ones. I’m not trying to be discouraging – being aware of the fact that all our well-laid plans will often have to be changed or abandoned (and often at the last moment) will help lessen the frustration that comes with the necessity of constant flexibility and dying to our own desires and wishes to do what is best or necessary for these precious blessings God has so lovingly and graciously entrusted us with. Those first weeks especially – your time will be completely absorbed by your babies – and that is OK! The house will be a mess, meals will be difficult to orchestrate, laundry will pile up – and it is OK! It is only a season. The babies will grow and change, everyone will adjust to the new family dynamics and needs, and you will find time for some of the things you long to get back to doing in care of your home and husband. However, we will never have that perfect Pinterest home, schedule, meals, etc. – and that is OK! We are fulfilling the highest calling raising these precious children in the love and ways of the Lord! That is wonderful Tiffany! It seems like stay at home mom’s are becoming more rare today let alone stay at home wifes! It’s great to meet another one 🙂 How fun (and busy I’m sure), we plan to homeschool as well! I’m really looking forward to it. I am a stay at home mumma to 5 children – 4 girls 8,6,4,2 and a 3 month old baby boy. I love being at home although it was a big shock and a steep learning curve to begin with. This is something that I strive to rectify with our girls by teaching them homemaking skills now. I am a stay-at-home mommy to 2 little girls, almost 3.5 & 21 mo. & a little boy due in Feb.! I was a FT career woman up until about 6 months ago, so my 2 daughters both spent 3yrs. & 1yr. with a wonderful in-home daycare provider. God had been calling on my heart for some time to make motherhood my FT job, but I am humbled to say that I ignored His calling for some time, despite my desire to be with my children. I had a very fulfilling, well paying job for a great company=If I would have been single or even married without children, it would have been such a good situation, and I guess I wasn’t trusting God enough because of what I thought it would do to us financially. But God knew what was best for our family, and even though it has taken me a few months to get my homemaking shoes on (I got pregnant with #3 shortly after being home, and the all-day sickness took its toll on me! ), we can already see what a blessing it has been for our kids to be home with mama everyday & to get to spend all the time with eachother-something they wouldn’t have gotten to do if they were in their daycare. I have also gotten to meet some wonderful, Christian women who have taught me alot about my faith, as well as being a better wife & mom. I am starting to see how God has made this change, although financially difficult, the best for our family! Congrats on your boy 🙂 That is so wonderful that God works our paths for us even when we don’t see the full plan 😉 And I hear you, I was in my first trimester when I first stayed home and got hardly anything done those first couple months lol! Thanks for sharing your heart and mind today! I will always be grateful for the time I had at home doing all the things you are doing before I became a SAHM. The time is invaluable, and you have used it well, friend! I believe your transition to motherhood will be easier because of it. Thanks for being a part of the series and for sharing your experience! It brought back so many amazing memories! I agree Leigh Ann! I think that it will be easier too and I thank the Lord for this time he has given me 🙂 I can’t wait to read the rest of the series. I am a stay at home wife and have been since my husband and I got married a little less than a year ago. By the time we are married a year I will be a stay at home mom :-). God has blessed my family greatly!!! I am a stay-at-home mom as well. I have a 14 month old daughter. I sadly didn’t begin taking the steps to prepare to become better at taking care of the home until our daughter was almost born. I was busy studying for my licensing exam. Now that I’ve been doing this for 14 months, I can say it grows and stretches you in ways you didn’t anticipate. I’m a better wife and more mature because of choosing this path. Its been a blessing! Thanks for sharing! I’m a new reader and looking forward to this series. I’m a stay-at-home mom to my precious 3 month old daughter, Kaylyn. My husband and I have been married for 19 months and before we had the baby, I was a stay-at-home wife. I feel very blessed that God has allowed me to make my husband and our family my primary ministry. I, too, spent much time working on my homemaking skills. I love to cook and bake. My husband recently bought me a new sewing machine (he is so good to me!) and I want to teach myself how to make dresses for my daughter and myself, as well as other things. I have 4 little ones and we knew from the beginning of our marriage that i would be a SAHM, granted I worked with my husband for his dads company until I was too big to do some of the tasks the job required. After our first child was born I brought her along and my husband and I were able to work together for a few months until she got mobile, I know that this is the only way I would have worked a job while married, was with my husband. I love being at home with my children daily. Even when the days get hard I look back on my life and see what loss and devastation can take place when a child is not cared and loved and taught by the parents who God has blessed them with…and I sing this line of the hymn “I am resolved no longer to linger charmed by the worlds delights, things that are higher, things that are nobler these have allured my sight” I have also begun the journey of homeschooling as we also see that this is part of what God calls parents to do…we desire not to lose the hearts of our children and have them brainwashed by our public school system. Many blessings in this wonderful journey! Thank You Jami for sharing your story !! I am currently going through a very similar transition . My husband&I decided awhile ago that after we had our first child we’d move away from all of our family and friends to settle in North Carolina. We didn’t know exactly how or when ,we just knew it was where we wanted to be and soon began to believe it was where God was leading us. So, after my husband had no luck finding work in NC, I suggested we move with or without jobs secured and let the God take care of the rest. My first year teaching full-time as a new mom, made it clear that my 10 year career was done, at least in that capacity. I never thought ,I’d make an effective stay-home mom because of my challenges focussing and staying organized with time & money. However, when I told my husband how unhappy I was he supported me 100% . It help that I already had a plan for how I would contribute financially but, we did not expect it to take this long for my business to take -off. With all this being said and as stressful as this transition has been , I still believe it was the right move for our family .In my opinion, if God did not want us to be here He would have made it very clear and being temporarily uncomfortable is not the sign I’m looking for. To be home with my 2 year -old daughter at this precious time is a blessing , that I hold very dear. The toddler years can be trying ,especially when your a new mom, but the amazing and rapid devolopment is so fun to be a part of. This time is also important to me because I’m starting a business and would love to pass it on to my daughter or at least show her practicing diligence ,patience, & perseverence can lead to success ! There so many things I can do with her , it’s just a matter of figuring out how to organize it. We’ve been here since August , and I’m finally starting to see how it all will work for she & I. This last week has been about fine tuning “time management ” between my business, my daughter, my household, ME , and my husband . My other challenge is showing my husband that I can be a good stewart of our household while running a business. I want him to feel confident in his decision despite the current set-backs . I want him to be comfortable establishing creating the career he desires without constantly worrying about how he’s gonna hold it down for his family .Unfortunatley, he has not stepped into his dream job ,yet and is very unhappy with the job he currently holds. So, I continue to prayer that God uplift him and show me how to encourage him as a wife & friend ! I married my wonderful husband in April of this year and moved to a new state to be closer to his job and school. Before we got married I graduated from bible collage and was working part time. I am currently a stay at home wife, I feel blessed to have this time but I am also really struggling with it. I always planned to stay at home when we have children but never before then. But over the last 4 months God has really been speaking to my heart about serving my husband and putting our marriage first by staying home and being a homemaker. Because i stay home i am able to bargain shop, cook healthy meals, keep our house clean and do the budget for our family. People’s comments can be very discouraging though, many days I feel like I have no purpose being here. My mind fills with thoughts that I should go back to school or get a job, that i am not doing anything worthwhile. My husband supports me staying home but he also sees that I am struggling with it. Today has been one of those rough days…I do not currently know anyone else in my shoes so I have been reading these blogs trying to feel connected in some way. I feel like I have done it all! Worker, wife, mother, homeschooler! I am so glad you have time to prepare for this next phase in your life. Enjoy it! I’m a mostly sahm for my amazing B/G twins who are now 2. I do work outside the home up to 2 days a week on my husbands days off to make ends meet – but when my husband and I discussed having children and what that looked like – putting them in daycare for someone else to raise left us both feeling so sad. It’s nice to read about other women who choose to stay home instead of feeling like it’s forced on them. I loved my job, but nothing is better than being home with my babies and raising them. We are currently trying to find a solution for the 2 days I’m away as it’s not ideal. It’s inspiring to read how others are managing to make it work. I truly feel it’s where I belong and while my cooking and baking are totally up to snuff sadly my housework isn’t. I would love any advice on how to take joy in the care of my home. Right now it feels like a millstone! My husband and I also married young, I was 18 and he was 23. It’ll be 5 years in June and our first bundle of joy is expected to arrive in November 🙂 God is good! I love this post. We have been married a little over a year but long distance the entire time due to the military. I work full time now but hope to begin staying at home and living in the same place in a year and a half from now. It’s a difficult season but I know it won’t be forever. To help the time pass, I’m trying to look forward and learn from blogs like yours! I am very new to everything, I got married soon after my husband and I travelled around Australia, I didn’t realise it at the time but at the wedding I was very newly pregnant. My husband got a job that happened to be very close to my brother so we made the move there, got a lovely little 3 bedroom house and I was at home looking for work until only three days later I found out I was 8 weeks pregnant! My husband earns enough to support us so he told me to stop looking for work and just enjoy making our new home, our home and plan bubs room. I’m now week 18 and though my organisation skills have improved, my husband does a lot of cleaning which leaves me with no jobs by lunch! Yes, I know I shouldn’t complain but the mother to be in me wants me to do more than sit and watch tv. Being a worker for over 10 years this transition is challenging because I haven’t gotten used to just slowing down and smelling the roses. My husband has given me so much and a wonderful gift… I just don’t know how to make the most of it. 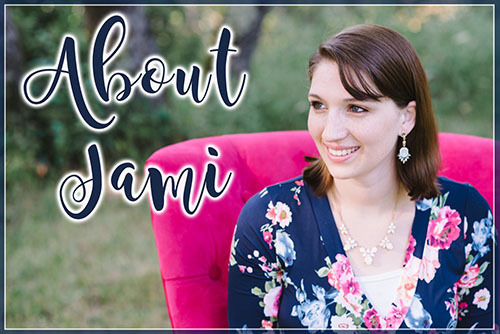 Jami, I enjoyed reading this post and learning more about transitioning from a SAHW to a SAHM. I am also a full-time stay at home wife right now, and will be staying home once we have kids as well. I have been doing lots of research and am hoping to cloth diaper our kids when we have them, did you end up cloth diapering your babies? How did it go? Did you find some brands and types better than others? I would love to hear about your cloth diapering journey! I’m a homemaker and mother of one 4-month old boy. I love mommy groups, weekly routines focused on managing our home, and the availability to host others in our home. My working mother and sister frequently swing by around lunch time, our friends come over to rehearse mariachi music in the evening, and friends and neighbors have dropped in to help since our son was born. I teach origami workshops and tutor mathematics, and love how math can help with tasks as ordinary as laundry. Thanks for this space to share!! !